I include sweet potato in quite a few of my soups. 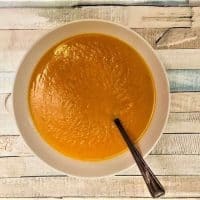 Just like ordinary white potatoes, they create a lovely thick texture, but there is something about sweet potatoes that make the soup have an almost velvety feel to it. This recipe is super simple with only 4 ingredients (discounting the oil and stock). The sweet potato provides ample flavour to not require a lot more. The chilli adds a nice warming kick to it, I tend to add 2 chillies to my soups, but that does make it quite spicy hot, so if you prefer a milder taste, you might want to keep it at one chilli, with seeds removed. If you enjoyed this soup maker recipe you might be interested in my soup maker recipe book that is available on Amazon. Optional: Saute onions and garlic in olive oil for up to 5 minutes. Add all ingredients to the soup maker. Make sure you remain within the MIN and MAX soup maker levels. Top up with more stock/hot water if required. Set soup maker off on to smooth. 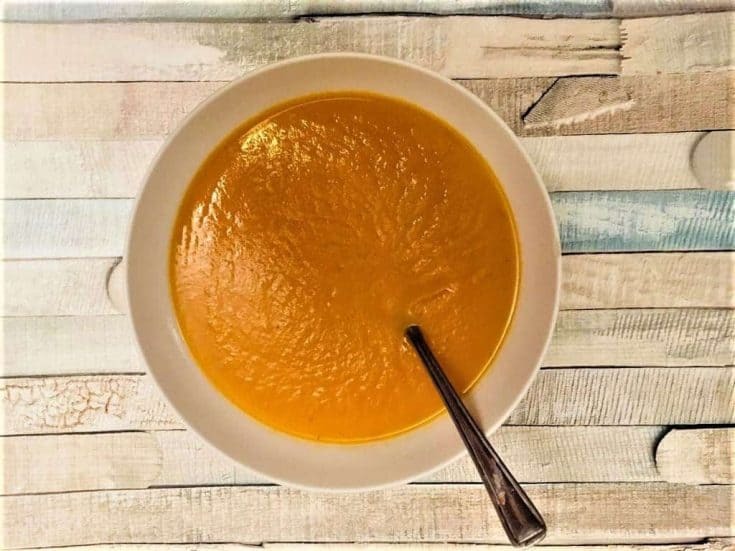 If you want a thicker soup increase the amount of sweet potato and reduce the amount of stock. 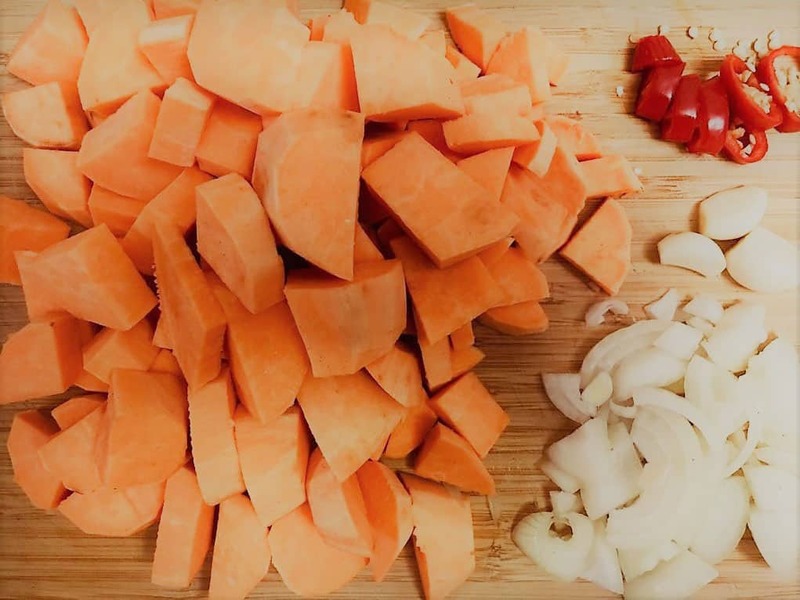 Likewise if you want a thinner soup, reduce the amount of sweet potato and increase the stock. I’m glad you enjoyed it Sue – it’s one of my favourites! Just tried this and had some immediately. Great receipt I loved it and will definitely be doing it again. I’m really happy to hear you and your family enjoyed this soup recipe Dorothy, thanks for your comment!